Placing Mid to Senior level Executives in the Pharmaceutical, Biotechnology and Medical Device industries since 1985. Contact Eda Zullo at 203.319-4309 or [email protected] to find out more. Eda’s expertise is in the recruitment of life sciences, pharmaceutical, biopharma AND healthcare professionals in the quantitative and statistical area. Her practice is within the commercial analytics space that concentrates in data science, marketing science, sales analytics, forecasting, promotion response, sales operations and data management. Pharma, Biotech, BioPharma, Life Science, Healthcare, Medical Device, Management Science, Marketing Science, Data Science, Sales and Marketing Analytics, Forecasting, Call Planning and Targeting, Sales and Commercial Effectiveness, Promotion Response Analysis, Territory Alignment, Sales Force Size and Structure, Marketing Mix Analysis, Statistical Analysis, Big Data, SAS, R, Python, Hadoop, SQL, SPSS, Tableau, Spotfire, Microsoft Access, Microsoft Office. Nancy Ragonese joined Smith Hanley Associates in 2014 and now leads the Pharmaceutical Sales and Medical Affairs practice areas. Her relationships with her clients and candidates is one of personalized, knowledgeable service, helping companies acquire the top talent in the industry, and working with candidates throughout their careers, are the trademarks of her recruiting practice. Nancy’s expertise is in the recruitment of pharmaceutical sales and operations leaders nationwide, including sales training, sales operations, zone and area managers, clinical nurse educators and medical science liaison’s. Nancy also has a strong track record of success in sales force expansions and build-outs requiring attainment of top talent in a tight time frame. Whether you have one specialized hire, ten hires for a small expansion, or 100+ hires, Nancy and her experienced team will be there every step of the way. Before joining Smith Hanley Associates, Nancy spent over seven years at Boehringer Ingelheim Pharmaceuticals Inc. in the HR business partner function where she provided comprehensive HR support to over 500 employees and business leaders in prescription medicines on complex situations brought to HR including; workforce expansions, recruiting, performance management, leaves of absence, reductions in force, compensation management and policy interpretation. Lindsey specializes in the recruitment of primary and secondary market research professionals across several industries, including Pharmaceutical, Biotechnology and Medical Device. Lindsey’s placements within this space tend to focus on pipeline through in-line or re-launch of products. These span across most disease areas. Lindsey’s ambitious character and personable demeanor make her a valuable resource for her clients, as well as a reliable point of contact for her candidates. 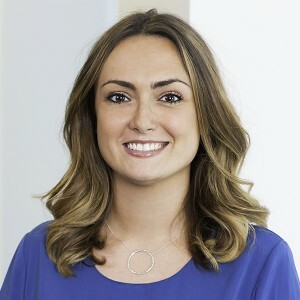 Her knowledge of the pharmaceutical recruiting area has grown signficantly over her five years with Smith Hanley, as she continues to be an asset to both her clients and candidates. Competitive Intelligence, Digital and Social Media Research, Consumer Insights, Shopper Insights, Category Management, Syndicated Research, Custom Research, Primary Research, Product Development, Data Analysis, Sensory Research, New Product Development, Physician Research, Patient Research, Quantitative Research, Qualitative Research, Prelaunch and Go-to Market Strategy. Ken’s relationship with his clients and candidates is one of personalized, knowledgeable service. His primary focus is helping companies acquire the top talent they need to grow, and working with candidates throughout their careers to put their skills to their highest and best use. Ken’s practice focus is in the recruitment of Medical/MSLs and Regulatory Affairs Leaders, focusing on all therapeutic areas. Before joining Smith Hanley Associates, Ken led an innovative medical communications agency to serve pharmaceutical clients with marketing including live and enduring promotional and educational programs to grow their brands. Ken also co-founded a leadership educational organization to develop workforce collaboration skills. Most recently, Ken led business development efforts to recruit HCPs to participate in pharma educational programs. Ken has worked on communication programs with Medical Affair teams and helped select and recruit KOLs in diverse therapeutic areas to ensure access to current medical and scientific information. He also has worked with Regulatory Affair teams to approve new program launches. Global and Domestic Medical Affairs: Medical Science Liaisons and MSL Leaders, Medical Directors and Managers, Scientific Directors, Medical Writers – All Therapeutic Areas. Global and Domestic Regulatory Affairs: Directors and Managers of Regulatory Affairs including Strategy and Policy, Labeling, Advertising and Promotion, Registration Management, Submissions Operations, CMS and Global Strategy. "Ken was very responsive and followed up with me at every point in the process. I was very pleased with his attention to detail and his willingness to take time for me."